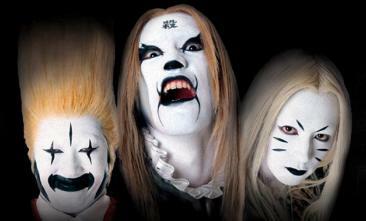 Detroit Metal City is a metal band created for the comedy manga of the same name, along with its anime and live action movie versions. The name of the series and band are a reference to the KISS song "Detroit Rock City". Their look is based on the looks of KISS.